This article is 2611 days old. 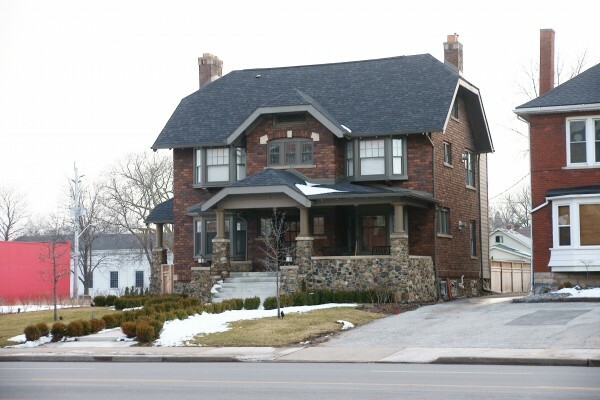 It’s Heritage Week in Ontario, and in recognition of seven days dedicated to history, the Windsor Heritage Committee presented four local property owners with “Built Heritage Awards” at City Council on Tuesday evening. Lanspeary Suites at 1165 Ouellette Avenue was built in 1920 and features a cobblestone foundation with brick exterior. The owner converted the building from its use as medical offices to a long term, multi unit residential building. The “elegant home” is one of few on Windsor’s main street.